Ok... i guess is time for me to "join the faulty ABS pump club" too. got the ABS warning it ASC warning drove the car fine home and today when i went to one of my mates to scan the car it came up with C2116- pump motor voltage low" cleared, and on my way home the warnings came back on. Hi there. 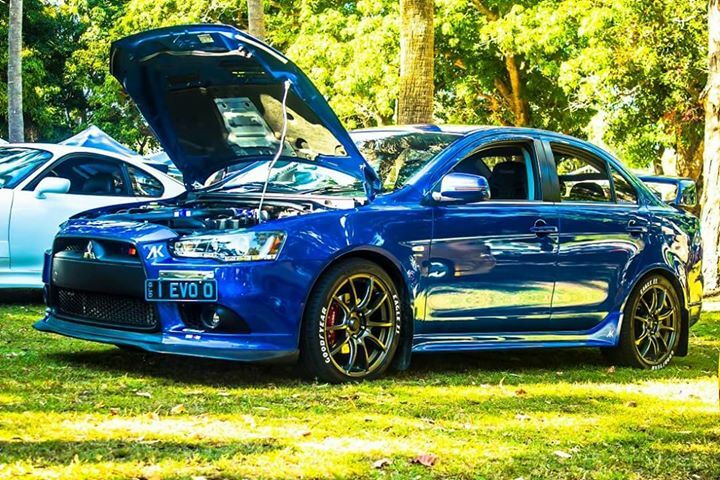 I am asking for peoples opinion on my December 2009 lancer. Recently my ABS service required light has come up on the dash, however it turns on and off regularly. I have had the car looked at 3 times at 2 different Mitsubishi dealerships and have had no luck. They have looked at my wheel sensors and have replaced my key battery and also my car battery. As I am a student, I am finding it difficult to contemplate the $2800 price tag. My car has always been serviced at Mitsubishi and have read on here that sometime Mitsubishi will help with the cost of the part as it seems very common! Im just after any advice on how to address this with Mitsubishi. Hi Bianca , Has Mitsubishi actually told you it is/could be the pump ? When my service light came on I took it to my Mitsubishi service center & after testing they found it was the pump & they actually offered to help me pay for a new one as they had a few other customers with the same Problem & they said they will help out of good will as I had always had my car serviced with them , Mind you they did have to get permission from Mitsubishi head office . Hi Doreen, yes they have told me that my pump will have to be replaced this is after they thought it was my car battery and replaced that. I have spoken to Mitsubishi head office and they told me that a service centre needs to place the out of warranty claim! So fingers crossed they can do that for me as my car is just over 4 months out of warranty. My mums 2008 VR has the same problem and is out of warranty, Mitsubishi will cover 50% of the part cost ($1425) and there is a 12 month warranty on the part, hopefully the part has been revised, I believe it has nothing to do with fluid quality but something to do with the brushes in the pump motor. Hi all I have a 11/08 VR lancer also showing ABS and Traction control service required. Mitsubishi checked showed low voltage internal electrical fault. Pump unit supplied and fitted with new brake fluid $2960. I asked them to ask Mitsubishi to help with the part as they had done with other people 3 months later came the reply no too far out of warranty. I must say that Mitsubishi have done no service work on the car. Through Google I found a Co call Specialised Automotive Electronics (unit 12/10 Foundry Rd Seven Hills NSW 02 86783141) they said common problem and they can repair modify the module for $450 + GST all I had to do was send the unit to them or i could use the mechanic in the same complex which is what I did all up it cost me $800 dropped the car of at 7.30am and picked up car at 1.30pm it's been 2 weeks since having the repair and all good. I have no affiliation with either Co just a happy customer. Hope this may be of assistance to someone. Ps it comes with 12 months warranty. Have you tested ABS working since the repair? Hi Jason yes the abs is working fine and the ASC switch is working fine know. Very happy with the work and not a bad price compared to Mitsubishi. 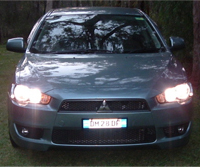 Great post,thankyou for the info concerning Specialised Auto Electronics,I gave them a call concerning my faulty ABS module on my CJ 2007 VR Lancer,Parramatta Mitsubishi gave me no help at all,they were my best friend when I paid $30k for it new.It seems the ABS is a problem with OUT OF WARRANTY LANCERS,my auto electrician reckons they were made to fail LOL! !I have been quoted all up about $3k to repair..what a joke,mitsubishi should do a recall on these units if they want to keep a happy customer base!Once again thankyou for the info! Hi all - thanks for all the useful info about this problem. I am currently experiencing this too with Mitsubishi having declined to offer any assistance for my partners 2009 Lancer. A dealer will submit a request for consideration if they believe the concern presented meets the relevant criteria and we take into consideration all of the following: age of the vehicle, kilometres travelled, how far out of warranty the vehicle is, nature of the concern, service history, customers loyalty to our network, customers loyalty to our brand. Please be assured that in your case, all of the above was considered, however, your vehicle has expired the manufacturers warranty by too great a margin for us to offer any assistance. Whilst we respect your comments relating to information on forums, we suggest that they are merely opinions and without having first hand knowledge of the vehicles referred to in those posts, can not confirm if they are experiencing the same concerns, how far out of the warranty period those vehicle are etc. Just a bit of information about the Lancer: 2009 Lancer, less than 12 months out of warranty when the issue arose, done 26,000km, ABS (which in my mind is equivalent to safety so quite concerning...), serviced almost entirely at local Mitsubishi dealer, and both myself and my partner have Lancers...this is clearly an issue that Mitsubishi should do something about. I think the best way is to contact Mitsubishi Australia directly. Dealer doesn't really have anything to do! Is all up to Mitsu. All the complains in regards with faulty equipment goes to Mitsu and is up to them if they want to give green light to repair or not.